Recruiter Careers are common in the job world. A recruiter is usually the person who hire for positions at companies. There is a need for a recruiter at just about every company that exists in this world. This is a popular field to work in. The aspiring recruiter will want to get a background in human resources. It is possible to work in this field without a human resources degree but it helps. A great entry level job in this field is to work as a recruiter at a temporary agency. You will interact with many people that are seeking employment. Some agencies recruit for many job contracts at a time. You might be hiring for a customer service contract as well as a nursing contract. Some temporary contracts are required to go to the location and hire workers. A company will tell you what type of worker they are looking for. It is up to you as the recruiter to get the work find the employees to fulfill the contract. For example, a company is hiring 500 workers for the Christmas season. You as the recruiter have to find the 500 employees by a screening process. Each person might have to have one year in manufacturing and a clean criminal record. As the recruiter, you have to do the checks for each person. You might screen 1000 people and only find 300 that fit the bill. In order to fulfill the contract you might have to actively recruit the other 200 people. This is just one of the many tasks of a temporary agency recruiter. A company recruiter will only recruit for the company they represent. This is more a midcareer position. For example if a cable company was hiring, the company would only have one recruiter. If the company was large, there may be many recruiters. In representing a company, there may be more criteria that are needed to make a hire. A company recruiter many go to job fairs and look for ideal candidates. 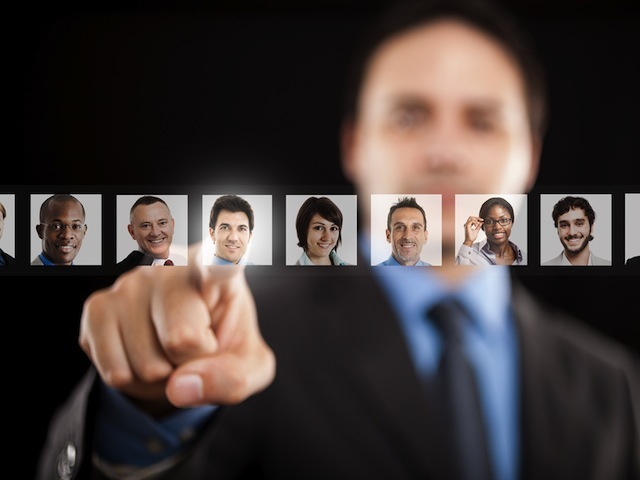 A large company is more likely to hold out for the right candidate that to make a quick hire. This is a more complex position than the latter position. A mid-level recruiter will have more 2 to 5 years of experience. A recruiter can also work as a head hunter. A head hunter can work for themselves or a company. An independent headhunter will represent the person looking for a job. The headhunter will get their pay when the person gets a job. Some take a fee to begin looking for work. Some recruiters require 10% of the pay after the person is hired. This is a company that can find work for a seasoned veteran in their field. A headhunter can open a small business as a recruiting company. It can be online or in a small office. The important thing is to advertise and use the skills the recruiter acquired early in their career. A Recruiter career is a great career for a person that likes to help other people.